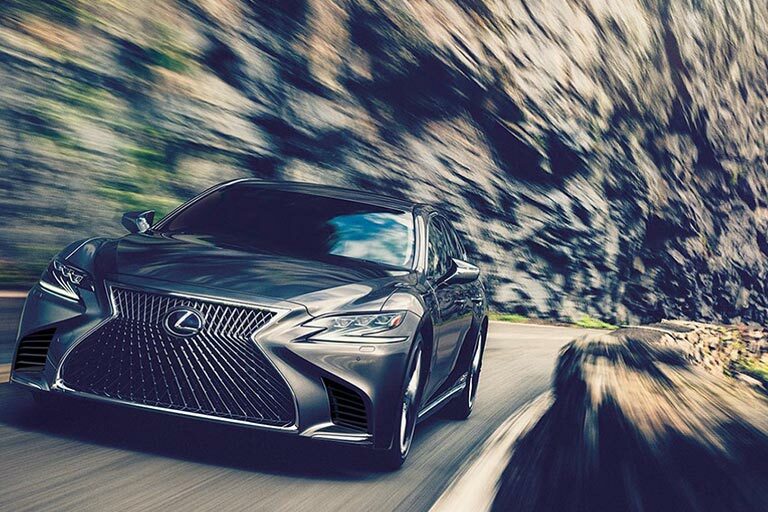 SAN ANTONIO, TX – Luxury automotive brand Lexus is partnering with the Valero Texas Open to provide courtesy vehicles for players and officials during tournament week when the Valero Texas Open returns April 4-7, 2019 at TPC San Antonio’s Oaks Course. This year’s tournament marks the beginning of a 10-year contract extension between the PGA TOUR and Valero Energy Corporation; a deal which repositions the tournament in a coveted slot on the TOUR schedule the week preceding the Masters Tournament. This new partnership, which will extend through the 2021 playing of the Valero Texas Open, will provide a significant platform for Lexus to showcase its latest lineup of vehicles to the San Antonio and South Texas markets. Spectators and fans of the Valero Texas Open will have several opportunities to interact with Lexus vehicles and product specialists in innovative and engaging ways while out at the tournament and through social media. Lexus is also a partner of the United States Golf Association, the US Open, US Women's Open and US Seniors Open until 2020. The Valero Texas Open is the sixth oldest professional tournament in golf world-wide, the third oldest on the PGA TOUR and the longest held in the same city. Andrew Landry, who defends his title this spring, will tee it up against what is projected to be an incredibly strong field of competitors, including PGA TOUR star Rickie Fowler. Valero Energy Corporation, through its subsidiaries, is an international manufacturer and marketer of transportation fuels and other petrochemical products. Valero, a Fortune 50 company based in San Antonio, Texas, with approximately 10,000 employees, is an independent petroleum refiner and ethanol producer, and its assets include 15 petroleum refineries with a combined throughput capacity of approximately 3.1 million barrels per day and 11 ethanol plants with a combined production capacity of 1.45 billion gallons per year. The petroleum refineries are located in the United States (“U.S.”), Canada, and the United Kingdom (“U.K.”), and the ethanol plants are located in the Mid-Continent region of the U.S. In addition, Valero owns the 2 percent general partner interest and a majority limited partner interest in the Partnership, a midstream master limited partnership. Valero sells its products in both the wholesale rack and bulk markets, and approximately, 7,400 outlets carry Valero’s brand names in the U.S., Canada, and the U.K., and Ireland. Please visit www.valero.com for more information. The Valero Texas Open is the 6th oldest professional tournament in golf world-wide, the 3rd oldest on the PGA TOUR and the longest held in the same city. In 2012, the tournament celebrated its 90th anniversary. Its list of champions includes some of the greatest names in golf history: Walter Hagen, Byron Nelson, Ben Hogan, Sam Snead, Arnold Palmer, Ben Crenshaw, Hale Irwin, Lee Trevino, Nick Price, Justin Leonard, Zach Johnson, Adam Scott, Jimmy Walker and 2018 champion Andrew Landry, to name a few. Since Valero became title sponsor in 2002, the tournament has become a leader in charitable fundraising among PGA TOUR events. The Valero Texas Open together with the Benefit for Children eclipsed the $100 million mark in charitable giving in 2015, becoming the fourth PGA TOUR event to do so. Raising a record $12 million in 2018, the tournament has now contributed more than $138 million to hundreds of worthy charities.